William Newsome was born in Ossett in early 1883, the eldest child of five surviving children born to John Newsome and his wife Martha (nee North) who married at Ossett Holy Trinity Church on the 4th November 1882. The couple had seven children from their marriage, but sadly two children died before April 1911. All of the family were born in Ossett. In 1891 and 1901 the family, three sons and two younger daughters were living at Healey where latterly William was working as an engine cleaner. Still at Healey Old Mill Yard in 1911, John Newsome, a stationary engine man for a mungo and shoddy manufacturer, was living with his wife Martha and three of their children, including William, now aged 28, who was working as a machine cleaner in the same mill as his father. On 28th July 1917 at Earlsheaton Parish Church, 34 year old soldier, William Newsome of Clipstone Camp, Nottinghamshire, married 31 year-old spinster Florence Taylor of Earlsheaton, Dewsbury. The couple do not appear to have had any children. William Newsome’s army service record has not survived, but it is known that he was living at Batley Carr when he enlisted at Dewsbury on the 13th October 1915 and joined the 2nd/6th Battalion, Prince of Wales Own (West Yorkshire Regiment) with service number 242399. William had an earlier service number, 6047, indicating that he was most probably in the Territorials before joining the regular army. He embarked for France on the 6th January 1917. At the time of William’s death in November 1917, his wife, Florence was living at 312 Buckley Buildings, Earlsheaton. The 2/6th Battalion, West Yorkshire Regiment (Prince of Wales's Own), was raised at Bradford on 12 September 1914. On the 1st of March 1915 they moved to Matlock to join 185th Brigade, 62nd (2nd West Riding) Division. In May they moved to Thoresby Park, and in October 1915 to Retford, November to Newcastle, January 1916 they moved to Salisbury Plain and in June 1916 to Somerleyton near Lowestoft then in October 1916 to Bedford. On the 5th of January 1917 they proceeded to France, sailing from Southampton to Le Havre. 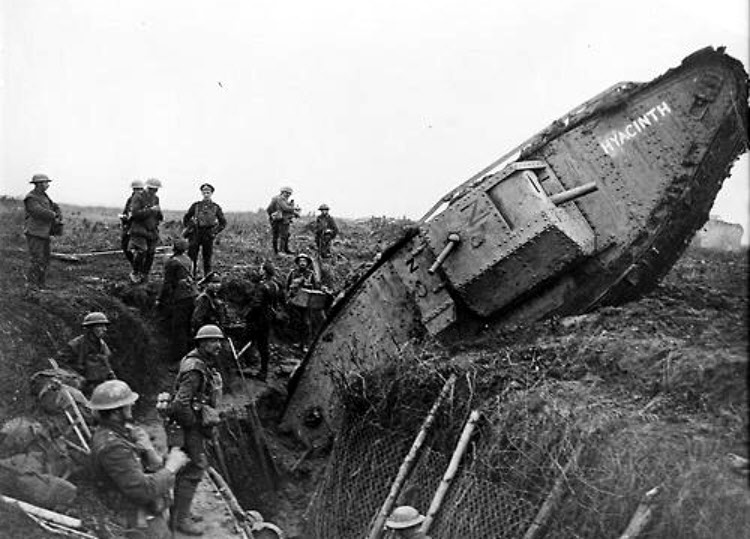 They saw their first action on the Ancre in February, and went on to take part in many major actions, including, the Arras Offensive, the Hindenburg Line, and at Cambrai in 1917. On the Somme, Arras, the Hindenburg Line and the final advance in Picardy in 1918. "The attack was launched at 6.20am on the 20th November. The British Divisions in the front line were, from right to left, the 12th (Eastern), 20th (Light), 6th, 51st (Highland), 62nd (West Riding) and 36th (Ulster). In immediate support was the 29th, and ready to exploit the anticipated breakthrough and sweep round Cambrai were the 1st, 2nd and 5th Cavalry Divisions. The Tank Corps deployed its entire strength of 476 machines, of which more than 350 were armed fighting tanks. They were led by the Tank Corps GOC, Hugh Elles, in a Mk IV tank called 'Hilda'. The attack opened with an intensive predicted-fire barrage on the Hindenburg Line and key points to the rear, which caught the Germans by surprise. Initially, this was followed by the curtain of a creeping barrage behind which the tanks and infantry followed. On the left of Flesquieres, the 62nd (2nd West Riding) Division fought hard through the ruins of Havrincourt, up to and through Graincourt and by nightfall were within sight of Anneux in the lee of the commanding height crowned by Bourlon Wood. The division had covered almost five miles from their start point, and were exhausted. (This was later claimed to be a record advance in the Great War for troops in battle)." William Newsome was posthumously awarded the British and Victory medals. but not the 1914/15 Star indicating that he did not serve overseas before 31st December 1915. William Newsome is not remembered on any Ossett Memorial or Roll of Honour even though he and his family were still living in Ossett in 1915. He is remembered on the Roll of Honour of Batley Carr Working Men’s Club and on the Memorial and the Roll of Honour of the Holy Trinity Church, Batley Carr. "A BATLEY CARR EMPLOYEE WHO HAILED FROM OSSETT"
"Private W. Newsome (34), West Yorkshires, who was killed in action on or after November 28th 1917, was the son of Mr John Newsome, 7, Warwick Road, Batley Carr. Last July he was married to Miss Taylor, daughter of Mr. And Mrs. Garforth Taylor, 312 Buckley’s Buildings, Low Side, Earlsheaton where the young wiow now lives. 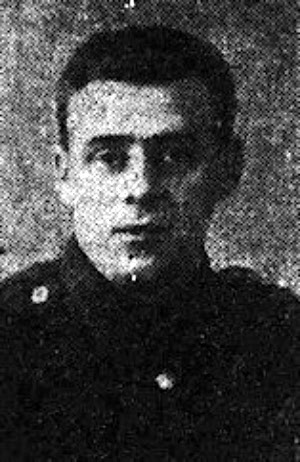 Private Newsome joined the forces on October 13th 1915, went to France on January 6th 1917 and returned to England on April 21st suffering from septic poisoning. He crossed the Channel again on September 8th, and is stated to have been wounded on November 22nd. His last letter was dated November 16th. Private Newsome was a native of Healey (Ossett), living there until two years ago. Prior to joining up he was employed by the Albion Mill Co., Batley Carr and was a member of the Low Side (Earlsheaton) and Batley Carr Working Men’s Club." Private Newsome is remembered in this 2014 biography and Roll of Honour because the Commonwealth War Graves Commission and/or the "U.K. Soldiers who Died in the Great War 1914-1918" listing records him as born or residing in Ossett. Above: Tank on the opening day of the Battle of Cambrai, November 20th 1917. Private William Newsome, aged 34 years, husband of Florence Newsome, of 312, Buckley Buildings, Earlsheaton, Dewsbury died on the 20th November 1917 and is buried at grave reference I. B. 13. at the Ribecourt Road Cemetery, Trescault,2 Pas de Calais, France. The village of Trescault is approximately 13 kilometres south-west of Cambrai. Ribecourt Road Cemetery lies to the north-east of the village on the south-east side of the road from Cambrai, Marcoing and Ribecourt. There are now over 250, 1914-18 war casualties commemorated in this site. Of these, a small number are unidentified. The Cemetery covers an area of 1,015 square metres and is enclosed by a low rubble wall. 274 metres to the West is a Battle Memorial erected by the 42nd Division.